When I think of plants that add a touch of excitement, whimsy, movement and beauty, held above a burnished mass of foliage, it can only be Gaura. To some it is known as Whirling Butterflies, Wand Flower or Bee Blossom, I know it as a fool-proof, easy to grow, surprise plant for the xeric garden. Such delicate blooms in a xeric garden??? YES!!! A North American native plant found in Texas and Mexico. This airy perennial plant can sometimes get as big as 3 feet by 3 feet, including the blooms which rise above the sometimes spotted bronzy basal foliage. The average height is 2 feet by 2 feet. A plant known to be sensitive to being moved once it’s tap root is in place, Gaura thrives on a sunny environment with deep, well-drained soil. Gaura can be the highlight in the garden at this time of the year when other plants have ceased blooming. A mature Gaura has just now gotten it’s second wind and is blooming it’s little butterflies off, repeatedly with no deadheading at all. !! This is the plant you want to find when there are gaps in the garden that need to be filled while waiting for the pansies and ornamental cabbages to grow into their autumnal greatness. There are white cultivars as well as pink cultivars, no matter the color, this plant – while appearing to be fragile does overtime n the garden. I planted some around the clock tower in the middle of District Heights Parkway, in a municipal planting that rarely gets watered. The plants are absolutely showing off right now. I also noticed, while in Paris this summer, that Guara and Lantana were partners in crime in many mixed municipal and public plantings. I even saw an abundance of it at Giverny…imagine that!!! Gaura can easily be grown from seed or from cuttings. If you want bushy plants, then pruning them ks they grow, will increase the amount of the blooms in addition to the size of the foliage cluster. Use those cuttings to make more plants. 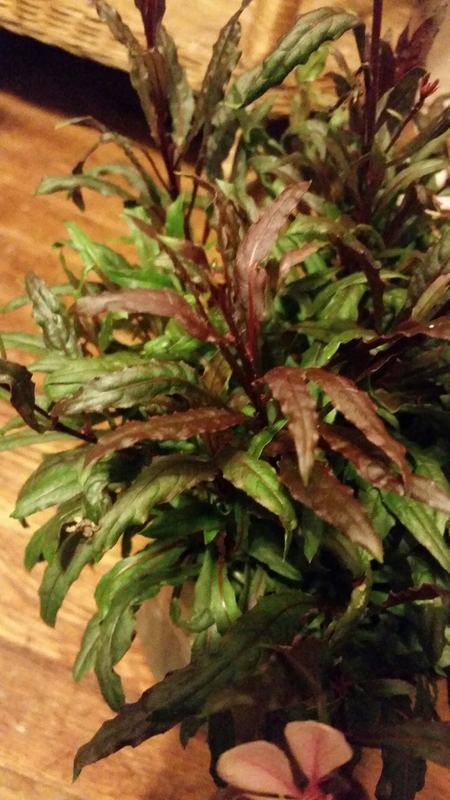 The bronze and green foliage with an underside in a reddish hue, add a touch of elegance to this plant. 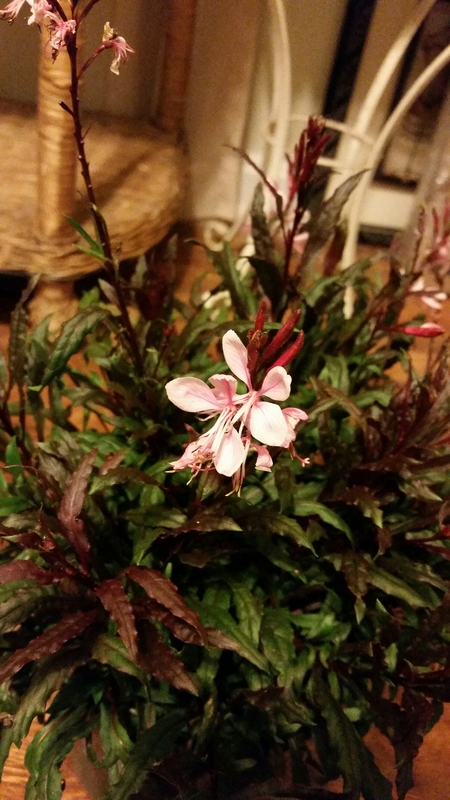 So if you are looking for that plant the will carry color in the garden amidst the autumnal tones of the season, take a second look at Gaura!!! 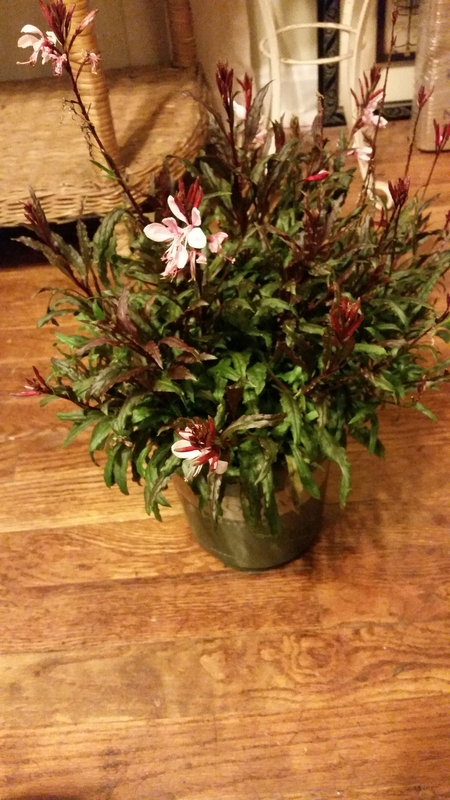 Gaura, by any other name is so easy even You Can Grow That!! !